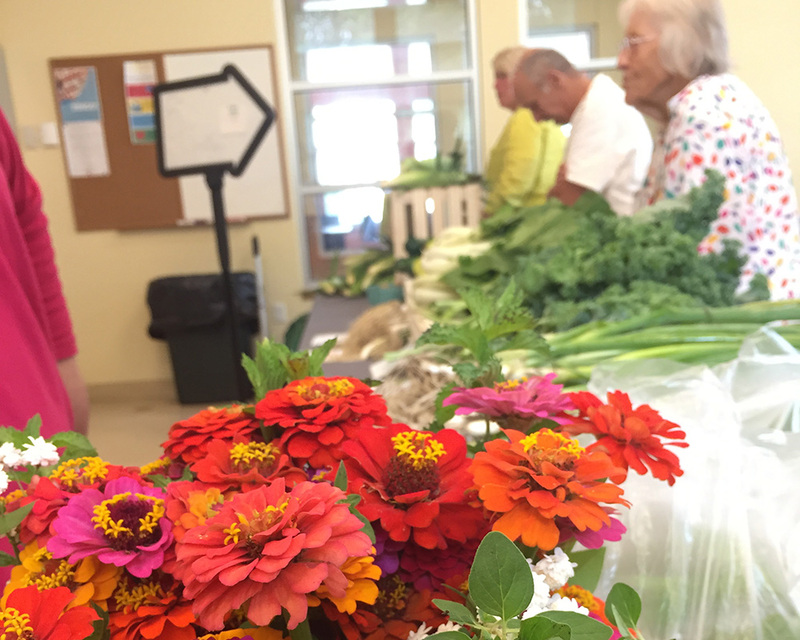 Neighborhood Markets bring the farm to you. 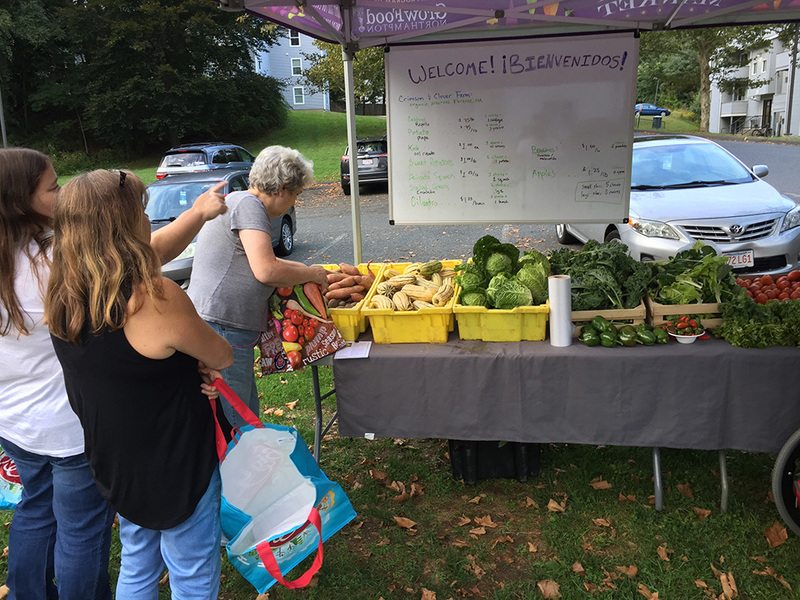 Our Neighborhood Markets bring an affordable farm stand to where people live, work, and visit, making shopping for fresh fruits and vegetables affordable and accessible for food insecure residents. 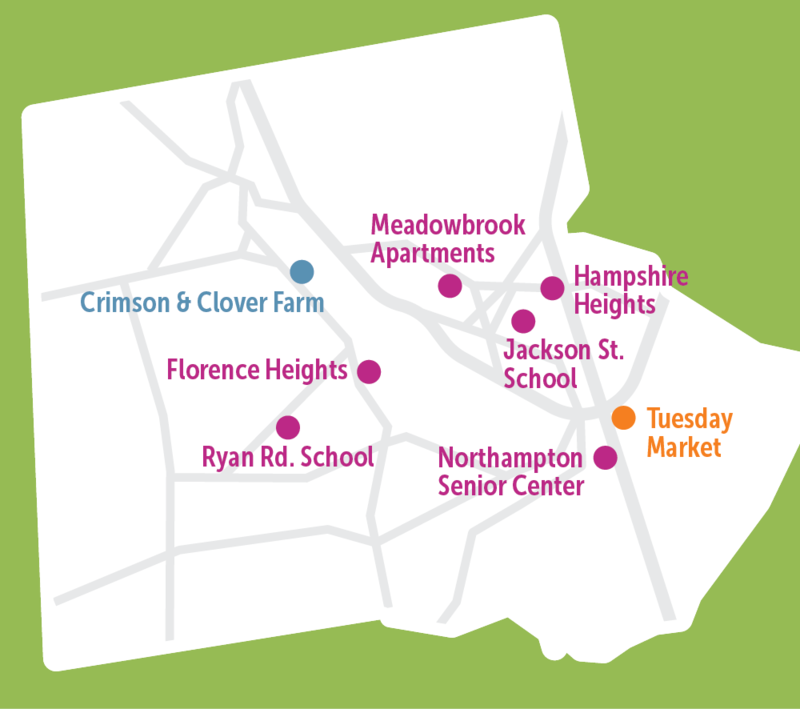 We visit six neighborhoods throughout Northampton every week during the summer and fall. 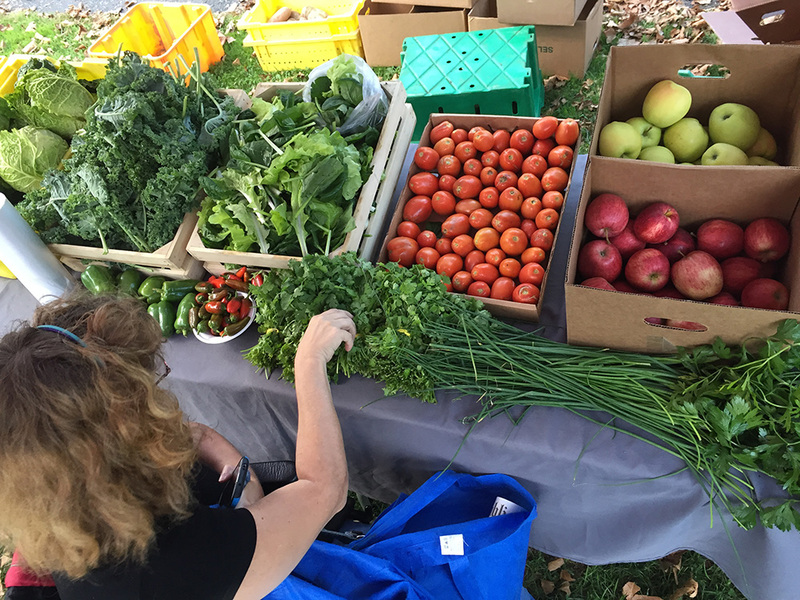 Customers can sign up for a reduced-price farm share and/or purchase fruits and vegetables without committing to a share. 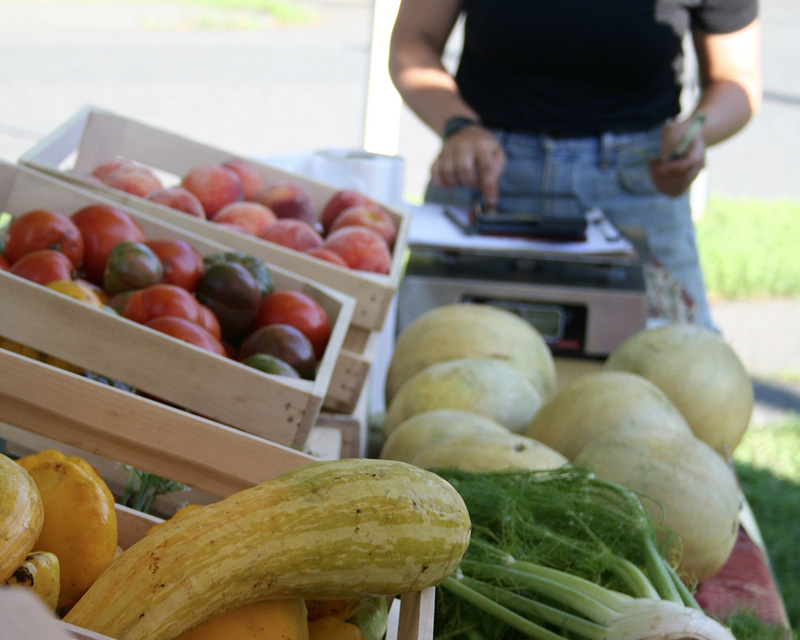 Farm shares last 10 or more weeks and cost about 25% of market value, and when paid for with SNAP, they are eligible for a HIP reimbursement. 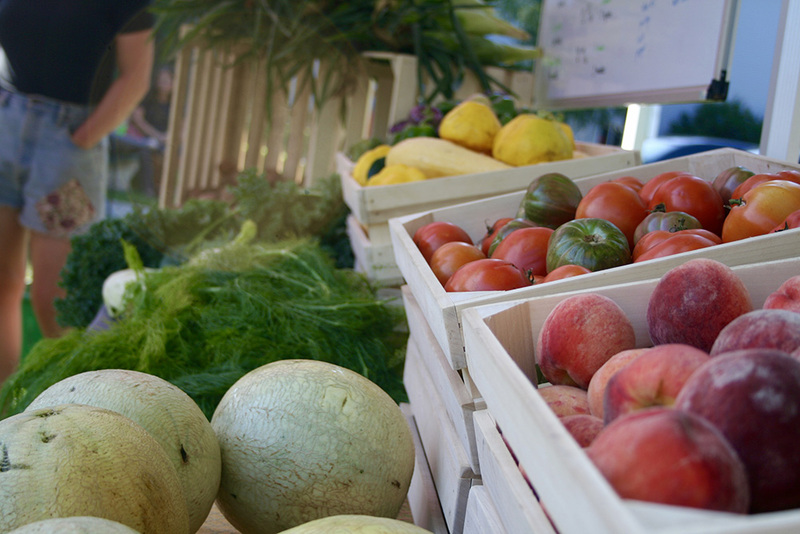 Share members can pick their favorites from a variety of seasonal produce items each week, including fruit and sweet corn, and anyone can purchase these items with cash or SNAP at wholesale prices. In addition to fresh produce, we also offer recipes and samples to inspire meal ideas. 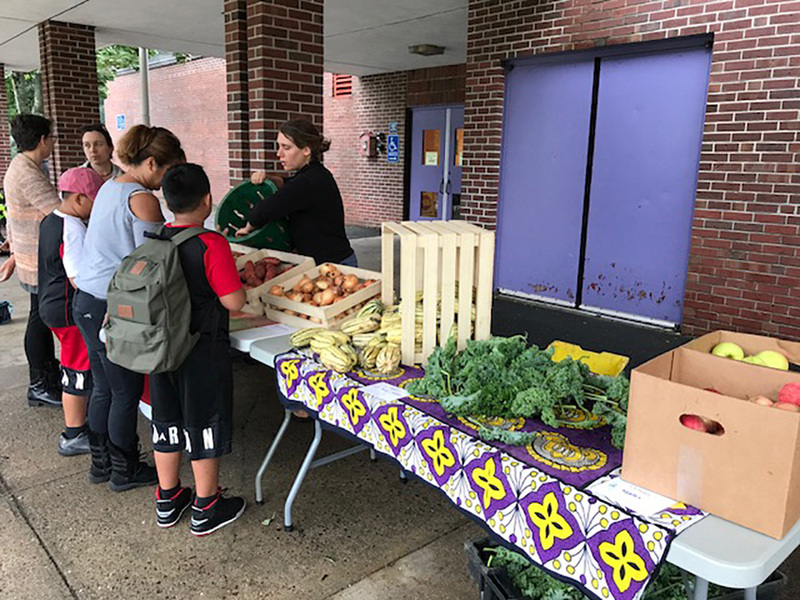 We hope to offer kid-focused activities, including cooking workshops, at many Neighborhood Markets in 2019. 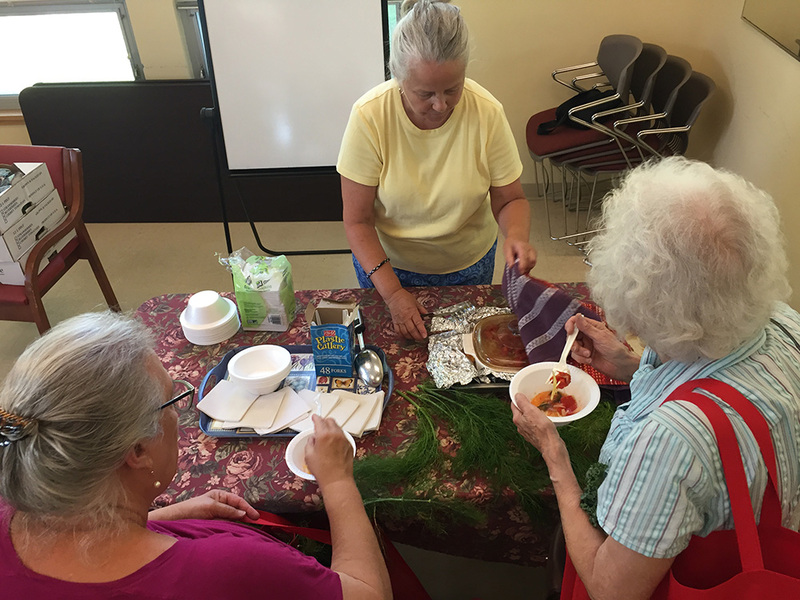 The exact schedule is TBD (stay tuned to this page for updates), but we will likely begin Neighborhood Markets at the Northampton Senior Center and the three subsidized housing locations in mid-July. The school locations will begin in early September. 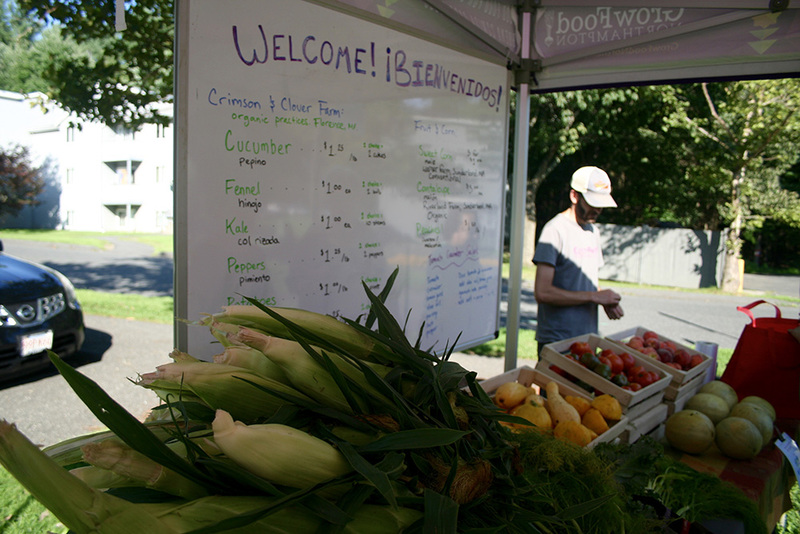 The majority of produce sold at our Neighborhood Markets is purchased from Crimson & Clover Farm. Additional produce is purchased from local farms through an innovative partnership with River Valley Coop, which allows us to access their broad network of local suppliers at no additional markup. 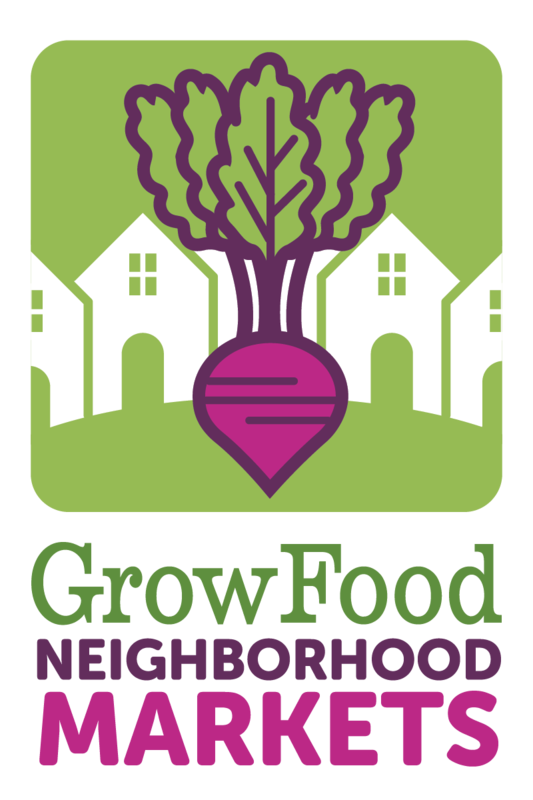 In addition to our procurement partnership, River Valley Coop is also the lead business sponsor for Neighborhood Markets. Their support – both financial and operational – makes this program possible. 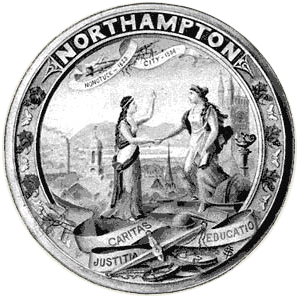 Additional support is provided by Cooley Dickinson Hospital, and the Whiting Street Fund from the City of Northampton.